Buddhist meditators have thicker cortex in brain regions associated with attention. Magnetically stimulating someone’s temporal lobe causes them to sense a presence in the room. Temporal lobe epileptics are obsessed with religion. Is God an illusion generated by a ‘God module’ in the brain, or is He communicating with us via structures in the brain specifically designed to transmit and receive His Word? Such findings and debates are typical of the growing research area of ‘neurotheology’. Religious behaviours such as meditation and prayer have been studied extensively, since they are voluntary acts possible, if not necessarily easy, to do in a scanner or beneath an EEG hairnet. The wholly unsurprising upshot of many and various studies (see Schjoedt, 2009, for a review) is that there are neural correlates of these behaviours. 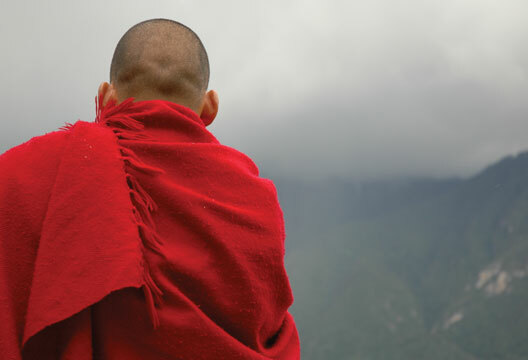 When meditating upon an object, an ideal (such as ‘compassion’) or reciting a prayer, activity in frontal areas increases – as you might expect when you are concentrating or attending intently. During ‘transcendental states’, such as a sense of union with God, oneness with the universe, or dissolution of corporeal boundaries, activity in parietal areas, involved with spatial awareness, decreases… or increases, depending on to whom you listen. Similarly, when subjects experience glossolalia (speaking in tongues) there is a decrease in frontal activity consistent with the idea that self-monitoring is taking a back seat and allowing speech-production areas to run riot. All of which could be of life-changing import or completely trivial, depending on your outlook. Personally, I feel it would be far more surprising if these neural correlates didn’t occur; and none of these findings directly addresses spirituality or religion. Many of these studies also lack a control group. Would you see the same pattern of activation in a non-religious subject doing relaxation exercises, counting backwards from one hundred, or completing a Sudoku puzzle? We simply don’t know, because those crucial controls haven’t been done. Far stranger and more controversial is the study of ‘religious experience’. This term refers to a plethora of sensations and experiences, such as an altered state of consciousness, a sensation of awe and majesty, the feeling of union with ‘God’ or oneness with the universe, the perception that time, space or one’s own self have dissolved, or an experience of sudden enlightenment. This field attracts controversy because many of the world’s religions rest upon a foundation of revelation. Prophets – be they Moses, Mohammed or the science-fiction author turned founder of scientology L. Ron Hubbard – claim to see or hear things that are not verifiable. If these religious experiences are a fabrication of the brain, it calls into question the validity of the religious message imparted. Much previous work has singled out the temporal lobe as a potential locus for mystical experiences and religious feelings. In 1963, Slater and Beard produced a five-paper magnum opus on the clinical characteristics of 69 epileptics who had schizophrenia-like psychoses (Beard, 1963; Slater & Beard 1963a, 1963b). Three quarters of the patients they studied had temporal lobe epilepsy (TLE) and 38 per cent claimed to have had religious or mystical experiences. On the basis of this sort of evidence, Norman Geschwind proposed a constellation of characteristics displayed by patients with TLE, which later became know as ‘Geschwind syndrome’. This was codified by David Bear, who listed the following characteristics: Emotionality, Manic tendencies, Depression, Altered sexuality, Anger, Hostility, Aggression, Religiosity, Paranoia, Guilt, Viscosity and Hypergraphia (Bear, 1979; Geschwind, 1979; Waxman & Geschwind, 1975). These personality characteristics became popularly known as ‘temporal lobe personality’. However, it seems to me that the evidence for hyper-religiosity in TLE isn’t terribly compelling. The widely-cited Slater and Beard study suffers from the fact that the individual cases described were cherry-picked by the authors during the course of their routine clinical practice precisely because they were unusual cases. Three quarters of the patients that reported religious experiences had TLE, but this is the same proportion of TLE patients in the sample as a whole, and as far as I can tell from their data, religiosity seems to be completely uncorrelated with the presence of temporal lobe symptoms in the patient’s history. Their data could therefore equally implicate epilepsy (in general), schizophrenia or psychosis in the production of hyper-religiosity. There are many case reports in the literature of epileptics with religious ideation or ecstatic vision (some are reviewed in Devinsky & Lai, 2008), but one wonders how many TLE patients don’t present such interesting and, perhaps crucially, publishable symptoms. Much has been made of a study by Dewhurst and Beard (1970) of ‘sudden religious conversions’ in six temporal lobe epileptics, but that paper itself cites 17 other studies (some with large numbers of patients) in which conversion experiences were not reported. The authors themselves state that such epileptic conversions are ‘uncommon’. Recent estimates of hyper-religiosity in TLE from several large studies have poured lukewarm water on the connection. Studies with hundreds of patients have estimated the frequency of religious experience to be between 1 per cent (Kanemoto & Kawai, 1994) and 2.3 per cent (Devinsky et al., 1991). Curiously, this seems to be much lower than the incidence of religious experience in the normal population, which varies between 20 and 60 per cent (Saver & Rabin, 1997), still it is worthwhile to look in detail at the case histories of this handful of hyper-religious patients. Of the 137 patients with TLE studied by Ogata and Miyakawa (1998), only three (2.2 per cent) were found to have had religious experiences. Curiously, all three had TLE with (again) psychosis and even more interestingly, in each case their mothers or mothers-in-law had profound influence over their religious or spiritual development. A more prosaic conclusion could be that they were hyper-religious because they were living in a religion-heavy environment, and they simply interpreted their psychotic or epileptic episodes in this light, a well-known phenomenon referred to by psychologists as attribution theory (Saver & Rabin, 1997). There have been other suggestions of a temporal lobe link to religion. In Phantoms in the Brain, Ramachandran reports a pilot study in which he found a stronger galvanic skin response (GSR) in two TLE individuals when they were presented with religious stimuli (Ramachandran & Blakeslee, 1998). This study is widely cited despite the fact that, to my knowledge, no successful attempt has ever been made to extend, replicate or publish it. More importantly, the experiment itself does not suggest in any way that TLE might generate religious experiences; simply that the patients’ sympathetic nervous system was aroused by religious stimuli. Ramachandran himself says that ‘strong GSR itself is no guarantee that the temporal lobes are directly involved in religion’ (p.187). Michael Persinger has claimed for some time to be able to artificially induce a sensation of a ‘presence’ in normal participants using a device that he refers to as ‘the Koren Helmet’, but which the rest of the world knows by its more tabloid name: ‘the God helmet’. Persinger theorises that the left and right temporal lobes collaborate to create a unified self and when communication between them breaks down, the ‘self’ in the non-dominant hemisphere ‘intrudes’ into consciousness, a phenomenon he calls ‘inter-hemispheric intrusion’. He argues that this sensation of another consciousness explains many so-called ‘visitor experiences’; when we experience the closeness of God, visitations of angels, saints, ancestors, aliens, ghosts, muses or past lives. The God helmet supposedly disrupts communication between the temporal lobes by using weak, ‘complex’ magnetic fields derived from patterns of activity found in the brain. This disruption, he argues, causes an inter-hemispheric intrusion, which is perceived as a separate entity. He also claims that mass visitations, UFO sightings and apparitions could be explained by distortions in the Earth’s magnetic field generated by ‘tectonic strain’ (Derr & Persinger, 1989). The excitement generated by Persinger’s claims, bolstered perhaps by his appearance in Ramachandran’s Phantoms in the Brain, have drawn legions of curious academics and journalists to his lab. Atheist-in-Chief Richard Dawkins was subjected to the God helmet as part of a 2005 BBC Horizon documentary (‘God on the Brain’). Afterwards, Dawkins said: ‘It pretty much felt as though I was in total darkness, with a helmet on my head and pleasantly relaxed.’ Not exactly a road to Damascus experience, but Dawkins is, of course, a damned sceptic and Persinger simply argued that he wasn’t temporal-lobey enough. Why the focus on the temporal lobes, though? As far as I can tell, Persinger’s theory is based on the literature on religiosity in temporal lobe epileptics (Booth & Persinger, 2009); a literature that I argue above is both flawed and outdated. Far more important than the opinion of journalists and academics (yes, even Dawkins’ opinion) is whether Persinger’s effects can be replicated. Unfortunately the only published attempt at replication failed to evoke a ‘sensed presence’ (Granqvist et al., 2005). Using kit and code borrowed from Persinger himself, Granqvist and colleagues could not reproduce his effects. They did, however, show that subjects’ scores correlated with their suggestibility. In a biting critique they argue that Persinger’s experiments weren’t properly double-blinded, subjects’ expectations were biased before the experiments and that the items on Persinger’s questionnaire were arbitrary and idiosyncratic (Granqvist et al., 2005). Crucially, Granqvist and colleagues argue, entirely correctly, that the magnetic fields generated by the God helmet are far too weak to penetrate the cranium and influence neurons within. Transcranial magnetic stimulation (TMS) uses field strengths of around 1.5 tesla in order to induce currents strong enough to depolarise neurons through the skull and cause them to fire. Persinger’s apparatus, on the other hand has a strength of around 1 millitesla. To give you some context, that’s 5000 times weaker than a typical fridge magnet. Granqvist argues that there is simply no way that this apparatus is having any meaningful effect on the brain, and I’m inclined to agree. The debate descended into an acrimonious spiral of response and counter-response (Larsson et al., 2005; Persinger & Koren, 2005), which will unfortunately not be broken until another replication is attempted. Although not a direct replication of any of Persinger’s experiments, a third group from Goldsmith’s College, London, put his ‘tectonic strain’ theories to the test when they attempted to build a ‘haunted room’ using magnetic fields based on Persinger’s weak ‘complex’ magnetic fields (French et al., 2009). The project produced some reports of unusual sensations, but these, as in the Granqvist et al. study, were correlated with the participants’ suggestibility. Another group in the US has recently tested the claims of Persinger’s research associate Todd Murphy, who sells commercial versions of the God helmet and associated technologies. Murphy claims his devices are able to modulate emotional states in addition to enhancing meditation and generating altered states. In flat contradiction of this claim, Gendle & McGrath (2012) found no significant difference in emotional state whether the device was on or off. If you can’t find God in a magnet, perhaps you can find him in a pill. In a widely reported study, Griffiths et al. (2006) found that psilocybin; the active ingredient in magic mushrooms, produced experiences described as similar to a mystical experience when administered to religious individuals. Psilocybin has long been associated with religion, and often used in religious rituals thanks to the bizarre hallucinations it evokes. At a follow-up consultation two months after their ‘trip’, the volunteers rated the psilocybin experience as having had substantial personal meaning, spiritual significance and positive effects on their attitude and behaviour. At 14 months (Griffiths et al., 2008) the majority of volunteers rated the psilocybin experience as among the five most personally meaningful and spiritually significant experiences of their lives. Sixty-four per cent indicated that the experience increased well-being or life satisfaction and 58 per cent met criteria for having had a ‘complete’ mystical experience. The suggestion is made by less critical commentators that psilocybin acts on serotonin 5-HT2A receptors in the temporal lobe and triggers networks that produce mystical experiences. However, 5-HT2A receptors are found throughout the cortex, especially in striate cortex and prefrontal cortex, about as far away as you can get from the temporal lobe (Burnet et al., 1995), so again, there is no convincing reason to implicate the temporal lobe. The bigger problem I have with this experiment and its controversial ancestor, the Good Friday Experiment (Doblin, 1991), is that they don’t actually tell us anything about religion. The everyday religious experience is nothing like a psychedelic trip. Equally unsurprising is the fact that if you give individuals that are already religious a magic carpet ride on ’shrooms they interpret it within their native vocabulary as a religious experience (Saver & Rabin, 1997). So what are we to make of all this? There are two very entrenched camps that I refer to as the ‘sceptics’ and the ‘believers’. The sceptic argument is aptly illustrated by Matthew Alper’s book The ‘God’ Part of the Brain (Alper, 1999). He argues that religion evolved to stop us worrying about our own mortality and that God is a hard-wired, genetically programmed illusion generated in (probably) the temporal lobes, and we all need to free ourselves from our evolutionary baggage and ditch God. The problem is that much of Alper’s argument is entirely speculative. His argument rests on a Rudyard Kipling-esque Just-So Story of human origins in which proto-humans, realising their own mortality, were crippled with death-anxiety and a ‘God module’ evolved to alleviate that worry and allow early man to get on with clubbing each other. There is no evidence for this and actually some counter-evidence in the fact that the correlation between religiosity and death-anxiety is quite weak (Newberg & Waldman, 2009). Strangely, for a book called The ‘God’ Part of the Brain, Alper never actually identifies a single area responsible for religious feeling, referring only vaguely to Ramachandran’s GSR study and Andrew Newberg’s SPECT experiments (Newberg & Waldman, 2009), which actually suggest that ‘God’ is a distributed process and not a not a single ‘part’ of the brain. The sceptic camp generally, if not Alper himself, rather dogmatically associates religious experience with the temporal lobe but, as I hope I have conveyed, the evidence on this is entirely equivocal. The ‘believer’ camp is defended by, among others, the writer, barrister and theologian Charles Foster. In Wired for God? (Foster, 2010) he argues that even though neurological changes, caused by brain damage, disorders or substance abuse, can bring about religious experiences, science can’t prove that those experiences aren’t ‘real’ (i.e. God). Instead, he seems to be proposing that mystical experiences are examples of our brains ‘tuning in’ to God or actually visiting some other realm. This strikes me as classic ‘God of the Gaps’ thinking. Wherever the scientific record is patchy or incomplete, there be God. In amongst the ad hominem attacks on prominent atheists (‘If Richard Dawkins twiddled his dial and received a slightly broader range of bandwidths he’d never have written The God Delusion and would now be living in a much smaller house’, p.186), Foster makes epidemic use of grey literature, citing ‘pseudo-archaeologist’ Graham Hancock in the same chapter as Einstein. So which camp is closer to the truth? Unfortunately, I am forced to conclude ‘a plague on both your houses!’ Sceptics are, in my opinion, far too quick to claim that God is ‘all in the brain’ (usually the temporal lobe) when in fact the evidence base is disturbingly weak. Similarly, believers claiming that God has provided a ‘conduit’ in the brain are making the same mistake. But to say that the jury is out is not to conclude that these are two equally valid positions. Occam’s razor (the principle that the simplest explanation is most likely the correct one) cuts the believer’s argument to ribbons before we even get started on the evidence base. Sceptics claiming that God is generated by a God-module pulsating away in the temporal cortex are making important empirical errors, but that’s nothing compared to postulating the existence of an omnipotent, omniscient creator and claiming that ‘brains can broadcast’ (Foster, 2010, p.309). I have no doubt that the sceptics will win out, and that God will turn out to be something as prosaic as the internalisation of our parents combined with various cultural and evolutionary baggage. However, next time some smart-alec down the pub proclaims that God is ‘all in the temporal lobe’, please punch them firmly in their God spot. Alper, M. (1999). The ‘God’ part of the brain. New York: Rogue Press. Bear, D.M. (1979). Temporal lobe epilepsy: A syndrome of sensory limbic hyperconnection. Cortex, 15, 357–384. Beard, A.W. (1963). The Schizophrenia-like psychoses of epilepsy: ii. Physical aspects. British Journal of Psychiatry, 109, 113–129. Benson, D.F. & Hermann, B.P. (1998). Personality disorders. In J. Engel Jr. & T.A. Pedley (Eds.) Epilepsy: A comprehensive textbook. Vol. II (pp.2065–2070). Philadelphia: Lippincott–Raven. Booth, J.N. & Persinger, M.A. (2009). Discrete shifts within the theta band between the frontal and parietal regions of the right hemisphere and the experiences of a sensed presence. Journal of Neuropsychiatry 21(3), 279–283. Burnet, P.W.J., Eastwood, S.L., Lacey, K. & Harrison, P.J. (1995). The distribution of 5-HT1A and 5-HT2A receptor mRNA in human brain. Brain Research, 676(1), 157–168. Derr, J.S. & Persinger, M.A. (1989). Geophysical variables and behavior: LIV. Zeitoun (Egypt) apparitions of the Virgin Mary as tectonic strain-induced luminosities. Perceptual and Motor Skills, 68, 123–128. Devinsky, O., Feldmann, E., Bromfield, E. et al. (1991). Structured interview for partial seizures: Clinical phenomenology and diagnosis. Journal of Epilepsy, 4(2), 107–116. Devinsky, O. & Lai, G. (2008). Spirituality and religion in epilepsy. Epilepsy and Behaviour, 12, 636–643. Dewhurst, K. & Beard, A.W. (1970). Sudden religious conversions in temporal lobe epilepsy. British Journal of Psychiatry, 117, 497–507. Doblin, R. (1991). Pahnke’s Good-Friday experiment: A long-term follow-up and methodological critique. Journal of Transpersonal Psychology, 23(1), 1–28. Foster, C. (2010). Wired for God? London: Hodder & Stoughton. French, C.C., Hague, U., Bunton-Stasyshyn, R. & Davis, R. (2009). The ‘Haunt’ project: An attempt to build a ‘haunted’ room by manipulating complex electromagnetic fields and infrasound. Cortex, 45(5), 619–629. Gendle, M.H. & McGrath, M.G. (2012). Can the 8-coil shakti alter subjective emotional experience? A randomized, placebo-controlled study. Perceptual and Motor Skills, 114(1), 217–235. Geschwind, N. (1979) Behavioral changes in temporal lobe epilepsy. Psychological Medicine, 9, 217–219. Griffiths, R.R., Richards, W.A., McCann, U. & Jesse, R. (2006). Psilocybin can occasion mystical-type experiences having substantial and sustained personal meaning and spiritual significance. Psychopharmacology, 187(3), 268–283. Griffiths, R.R., Richards, W.A., Johnson, M.W. et al. (2008). Mystical-type experiences occasioned by psilocybin mediate the attribution of personal meaning and spiritual significance 14 months later. Journal of Psychopharmacology, 22(6), 621–632. Hughes, J.R. (2005a). A reappraisal of the possible seizures of Vincent van Gogh. Epilepsy & Behavior, 6(4), 504–510. Hughes, J.R. (2005b). Did all those famous people really have epilepsy? Epilepsy & Behavior, 6(2), 115–139. Landtblom, A. (2006). The ‘sensed presence’: An epileptic aura with religious overtones. Epilepsy & Behavior, 9(1), 186-188. Larsson, M., Larhammarb, D., Fredrikson, M. & Granqvist, P. (2005). Reply to M.A. Persinger and S.A. Koren’s response to Granqvist et al. ‘Sensed presence and mystical experiences are predicted by suggestibility, not by the application of transcranial weak magnetic fields.’ Neuroscience Letters, 380(3), 348–350. Newberg, A.B. & Waldman, M.R. (2009). How God changes your brain. New York: Ballantine Books. Ogata, A. & Miyakawa, T. (1998). Religious experiences in epileptic patients with a focus on ictus-related episodes. Psychiatry and Clinical Neurosciences, 52(3), 321–325. Persinger, M. & Koren, S. (2005). A response to Granqvist et al. ‘Sensed presence and mystical experiences are predicted by suggestibility, not by the application of transcranial weak magnetic fields.’ Neuroscience Letters, 380(3), 346–347. Ramachandran, V.S. & Blakeslee, S. (1998). Phantoms in the brain. London: Fourth Estate. Saver, J.L. & Rabin, J. (1997). The neural substrates of religious experience. Journal of Neuropsychiatry and Clinical Neurosciences, 9(3), 498–510. Schjoedt, U. (2009). The religious brain: A general introduction to the experimental neuroscience of religion. Method and Theory in the Study of Religion, 21, 310–339. Slater, E. & Beard, A.W. (1963a). The Schizophrenia-like psychoses of epilepsy: i. Psychiatric aspects. British Journal of Psychiatry, 109, 95–112. Slater, E. & Beard, A.W. (1963b). The Schizophrenia-like psychoses of epilepsy: v. Discussion and conclusions. British Journal of Psychiatry, 109, 143–150. Waxman, S.A. & Geschwind, N. (1975). Interictal behavior syndrome of temporal-lobe epilepsy. Archives of General Psychiatry, 32(12), 1580–1586.